Wednesday, Oct 25th, 5:30 pm - 8:00pm. Join Boston Women in Finance on Wednesday October 25th and our speaker W. Jackson Schultz, CISA. Understand the Cybersecurity landscape while discussing some threats, vulnerabilities, and best practices. Dig a bit into cybercrime and understand compliance requirements to follow. 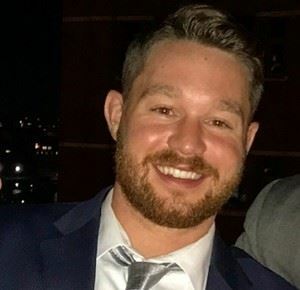 Jackson prior to joining OCD Tech was a security consultant for a boutique consulting firm with a focus on financial services and HIPAA covered entities. In addition, Jackson has assisted multiple organizations align their governance structure to ISO 27001. Currently Jackson performs IT audit control testing for O'Connor & Drew clients. He is a Candidate for Executive Master in Cybersecurity at Brown University and has a BS in Computer Science with Upsilon Pi Epsilon Distinction from Salem State. Jackson is a Certified Information Systems Auditor, Member of InfraGard, Cloud Security Alliance and ISSA of New England. REGISTRATION: Please complete the form on the left. Food included for all. CASH BAR. One free drink ticket for BWF members.